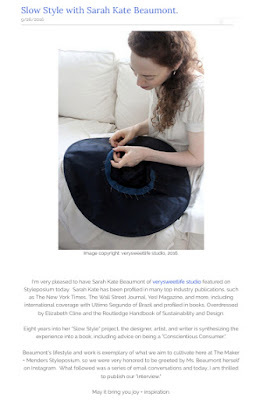 Recently I was interviewed by the Styleposium blog. It was an opportunity to reflect on my Slow Style project, discuss the book I've been writing and share some teaching stories. You can read the interview here. Looking forward to both your book and reading the Styleposium interview. I really admire your work. Cheers!